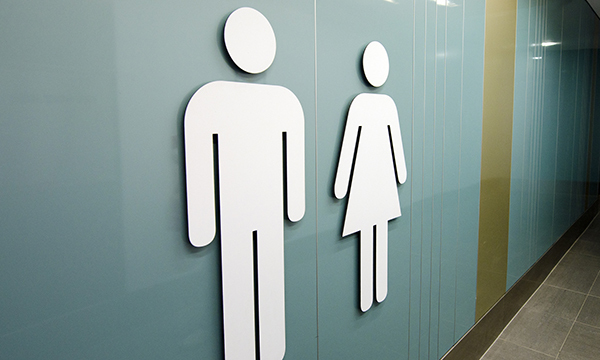 What do you do when a trip to the loo is anything but bog standard? During my nurse training, I was in a lecture, listening to a woman describing the problems she and her son experienced using the loo in outpatients. Her son had profound multiple learning disabilities, and what should have been a simple matter of gaining access to a toilet became a physical, and emotional, struggle. The outpatients’ toilet lacked the necessary equipment. It left me shocked as this was clearly a barrier to health. Around this time I was successful in my application to be a student quality ambassador, part of a Health Education North West initiative to promote and encourage high quality care. I now chair the University of Cumbria’s 26-strong team. Fellow student Heather Maw and I learned about the Changing Places campaign (www.changing-places.org), which aims to make toilet facilities fully accessible. We instantly knew this was a project we wanted to work on… to ensure the experience of the woman and her son was not repeated. We began our hospital’s Changing Places campaign, undertaking research with guidance from mentor Steve Mee at the university. From the outset we realised it was essential to listen to patients. Changing Places is not about us, it is about improving the lives of patients, families and carers, and we have met many inspirational people along the way. We undertook research via focus groups, structured questionnaires and meetings which were summarised, recorded and turned into a presentation for the equality of access to healthcare group at the University Hospitals of Morecambe Bay NHS Foundation Trust. That was a nerve-racking hour, plus question and answer session. A month later the equality of access group chair gave us accreditation and confirmation. Changing Places is now being rolled out through all the trust’s hospitals. The campaign has offered us many opportunities to write articles about our experiences and give presentations at different events. I have started two further Changing Places campaigns, including improving access to facilities in the Lake District. I attend monthly meetings of the equality group, and every two months meetings of a profound intellectual and multiple disabilities self-advocacy group. Between them they work to improve service user experience. The projects give me the chance to practise the theory I have learned and build on skills developed in placement. I see part of my role as looking at things through fresh eyes and sharing good practice. I have become involved in further extracurricular work to raise the profile of learning disabilities and of the profession I study, learning disability nursing. I am a learning disability champion, peer mentor and peer-assisted study session leader, helping grow resilience among students, raise awareness in the community and advance skills in leadership, mentorship, collaboration and communication. All this has increased my confidence and professionalism, as well as building my knowledge base. Now my target is to achieve a first class degree.